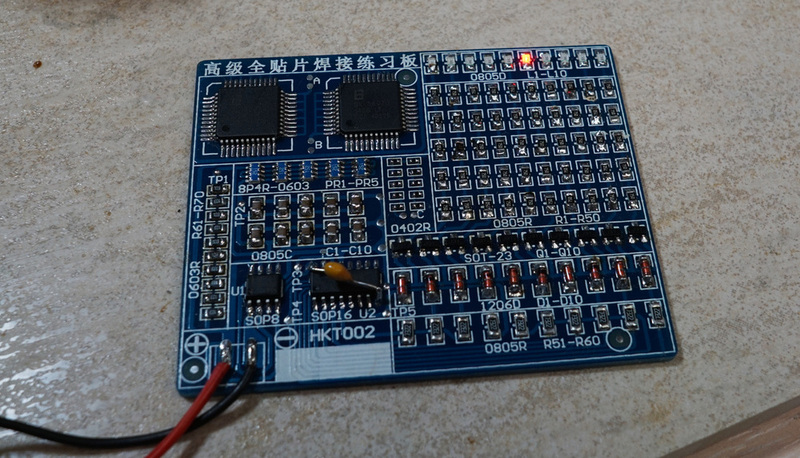 HKT002 soldering practice kit exceeded my expectations - it is a functioning circuit with all parts included, which only works if you soldered everything correctly. There is an 555 which frequency is set by long chains of capacitors and resistors. CD4017 johnson counter to drive 10 LEDs. These 10 LEDs are driven by BJT's with high hFE and diodes in the base circuit, so any surface contamination from flux would not allow them to turn off LEDs. Highly recommend to anyone who needs to solder from time to time. If you're just starting learning - you will need at least 2 set and lots of spare parts. 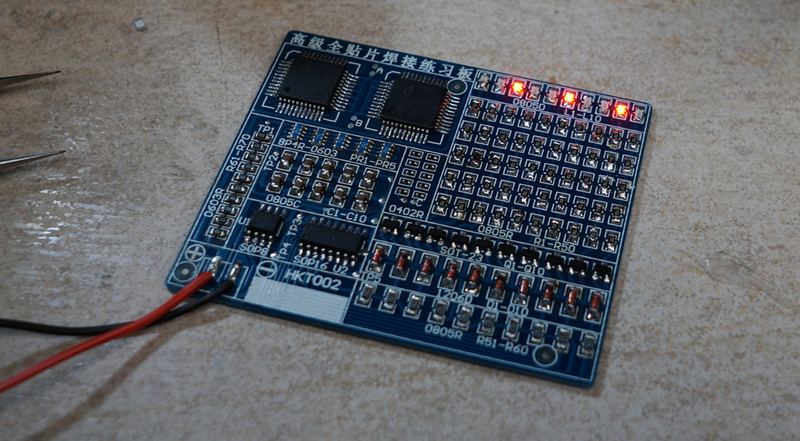 Here is last glitch: You can see 3 LEDs could be lit at the same time by CD4017. Why could that be?